Changing trends in music listening habits finds Internet radio and on-demand music services growing at the expense of CDs and AM/FM radio. Pandora radio users reflect the broader trend. I’ve suspected for some time that the rise in popularity of on-demand music services as well as Internet radio are fundamentally changing how consumers consume music. And now we have quantification showing the extent of those changes. Marketing research firm NPD Group has just released results from a survey it conducted among American Internet users age 13 and older. 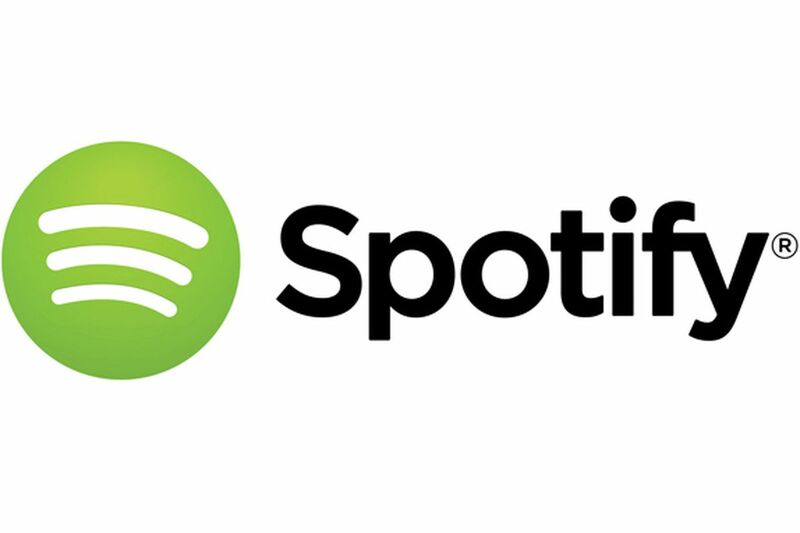 It found that half of Internet users have listened to music on Internet radio or an on-demand music service at least once over the past three months. 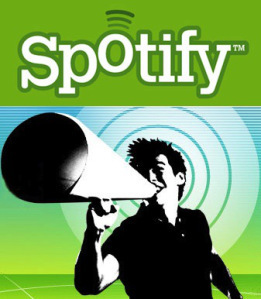 User activity is split equally between Internet radio services such as Pandora, and on-demand services like Spotify and Rhapsody (about 37% each). Internet radio appears to be growing in popularity significantly faster than the on-demand music audience. Internet radio audience increased ~27% over the past year, while the on-demand music audience grew by just ~18%. Since finally breaking into the mainstream about three years ago, the Pandora Internet radio service has really taken a bite out of the conventional ways of listening to music. 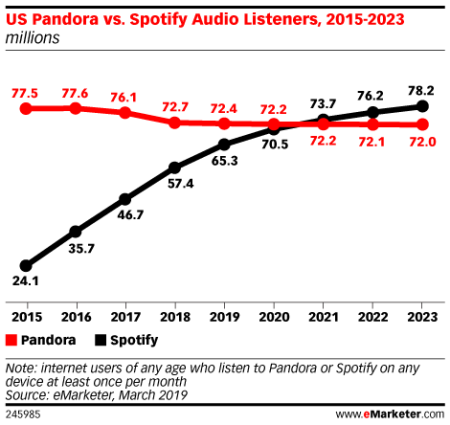 Moreover, about one-third of all Pandora users are now listening to music via the service in their cars. As a result, since 2009 the percentage of Pandora users who also listen to AM/FM radio has declined by ~10%. Even more dramatic has been the drop in Pandora users also listening to CDs on non-computer devices and/or on portable music players (-21%). An intriguing finding of the survey is that using Internet radio and on-demand music services has increased audience engagement with new music: More than half of the respondents reported that these services have aided in their discovery of music that is new to them. Clearly, innovations such as Pandora’s “music genome” have made it easier and more fulfilling for listeners to broaden their musical horizons, branching out from musical styles that are familiar and most pleasing to them. But an even more interesting finding may be this one: Two-thirds of respondents have used these services to rediscover older music – the music of their youth.